So I got it from a friend who had got it from Flipkart where it is available for Rs. 77 for 100 ml which is very affordable, but it gets over quite quickly. It lasted me just 4 washes, so I need at least 3 of these bottles to last me a month which means around Rs. 250 per month on shampoo. 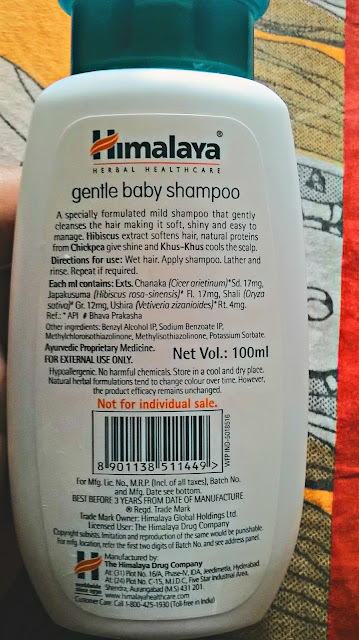 Hmm, reasonable enough :) I specifically went for Himalaya Herbals brand since I have used many products from them over the years and almost always been impressed. Now, Claims of the product include gently cleansing hair making it soft and shiny with a no-tears guarantee. Ingredients include Bengal Gram or Besan, Hibiscus extracts, Khus Khus and some basic mild chemicals which are safe for baby's skin. No parabens or sulphates that I could see. There is no Fragrance in the product per se. 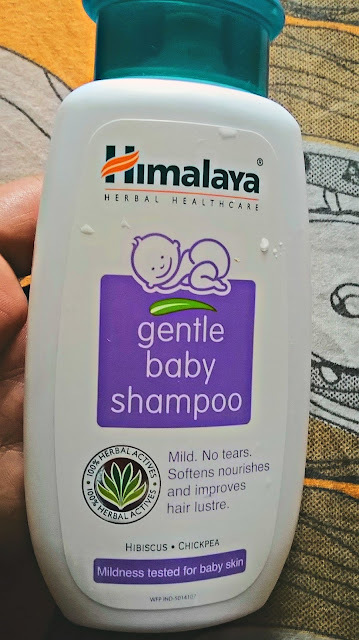 On opening the bottle,there is that special baby's products smell for some time and it disappears soon after :) Also, the shampoo is as light as water and feels very light too. Really, it is the mildest shampoo ever! If you want celeb like glitz and gloss from your shampoo, stay away! This is a mild cleanser for hair. It will also not work on hair that is extremely dry or dirty due to heavy pollution,I think. Hola to a new beginning!